Salla is a municipality of Finland, located in Lapland. 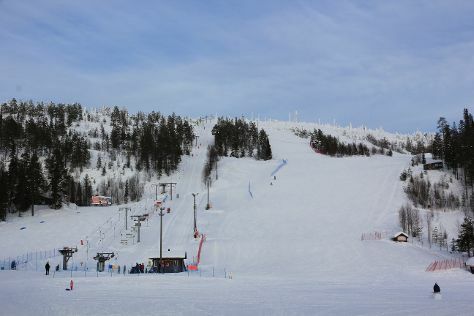 Start off your visit on the 7th (Fri): tour the pleasant surroundings at Salla Ski Resort, then contemplate the long history of Paikanselan Taistelualue, and then learn about all things military at Salla Museum of War & Reconstruction. To find ratings, more things to do, where to stay, and tourist information, read Salla online tour itinerary planner . Singapore, Singapore to Salla is an approximately 22-hour flight. Due to the time zone difference, you'll gain 6 hours traveling from Singapore to Salla. Traveling from Singapore in December, things will get cooler in Salla: highs are around -7°C and lows about -16°C. Wrap up your sightseeing on the 7th (Fri) to allow time to travel to Akaslompolo. Kick off your visit on the 8th (Sat): experience rural life at Santa"s Cottage & Pet Farm, then take a stroll through Ounasjoki - River for activities, and then tour the pleasant surroundings at Yllas Ski Resort. Here are some ideas for day two: glide through natural beauty at Levi Ski Resort. To find reviews, where to stay, and more tourist information, you can read our Akaslompolo trip itinerary app . Getting from Salla to Akaslompolo by car takes about 4 hours. In December, daily temperatures in Akaslompolo can reach -5°C, while at night they dip to -15°C. 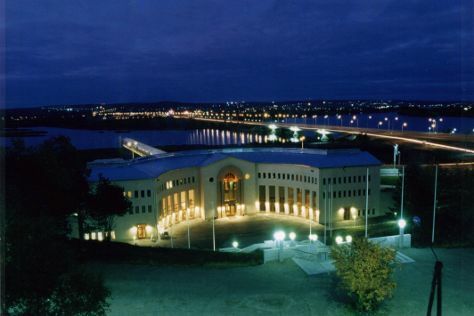 Finish up your sightseeing early on the 9th (Sun) so you can go by car to Rovaniemi. On the 10th (Mon), see Santa Claus Office, examine the collection at Christmas House Santa, then get engrossed in the history at Arktikum, and finally try to win big at Feel Vegas - Club Rovaniemi. Traveling by car from Akaslompolo to Rovaniemi takes 2.5 hours. Alternatively, you can take a bus. December in Rovaniemi sees daily highs of -6°C and lows of -13°C at night. Wrap up your sightseeing on the 10th (Mon) early enough to travel back home.